Property 12: Villa Jempiring: New And Very Luxury Balinese Style Villa With Amazing Views! Property 17: Dreamy Treetop Loft in the Rice Fields! Property 24: Luxury Beach Front Villa with Infinity Pool, Staff and Breathtaking Views! Property 25: Villa only 5 mins to Batu Belig beach! Property 49: Stylish New Villa in Best Ubud, Bali Location! 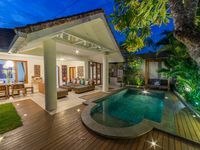 Villa Bunny is an excellent place to stay in Seminyak. The hosts Tila and Robert are very helpful and accommodate all requests like extra bedding and second sets of keys with no problems. The housekeeper Adi is wonderfully friendly and helpful and a very good breakfast cook. The villa itself has an excellent pool, very roomy bedrooms and very good WiFi. 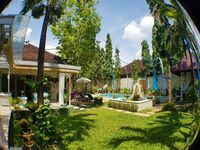 It would be good if the air conditioning was a little quieter however the spaciousness of the villa, the beautiful gardens, pool and cabana and the location near to Shelter, The Koop and the main Seminyak shopping strip make for a wonderful holiday. All the trendy Seminyak restaurants and clubs are only a short taxi ride or walk away and the local massages are very good. Villa Bunny is highly recommended and the space, peace and privacy compared to a resort are very, very good. It is also excellent value for money. Adi&rsquo;s friendly welcome and great service is a delight. You will have a wonderful holiday at Villa Bunny! Ceri's villa was amazing! She was so welcoming and provided so much information and helpful suggestions during our stay in Seminyak. Her &quot;blue book&quot; was so helpful with different tours/attractions/contact numbers etc. it made for a quick and easy reference guide whenever we were stuck. The cleaners even blew up our inflatables while we were gone!!! We would definitely book her villa the next time we are in Seminyak.